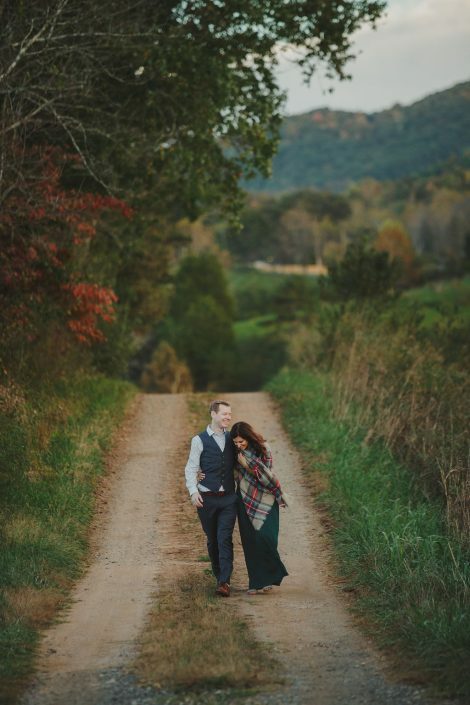 Nestled in the mountains of Western North Carolina, the Farm at Green Heron Pond offers a serene, natural setting for wedding receptions, parties, picnics, and other outdoor events. Fifty acres of rolling pastures and woods surround the Green Heron Pond & Pavilion, all within 18 minutes from the center of Asheville. First opened to the public in 2016, this amazing property includes a one-acre, spring-fed pond, covered pavilion, fields of wildflowers, and farm and mountain views. It is the perfect place for you to enjoy a day in the mountains. Hike our mountain trails, or sit by the pond to observe the birds, deer, rabbits, and butterflies that make the farm their home. But the real magic of this place is found at night, sitting around the fire pit, gazing at the stars, and listening to the songs of the evening creatures. 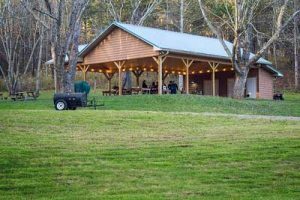 The 1500-square-foot pavilion offers a comfortable, protected setting with ceiling fans, wifi, food prep area, cafe lights, and restrooms while allowing unobstructed views of the pond, the countryside and mountains beyond. Clear drop-down sidewalls provide shelter from rain and cool temperatures. Nearby, a 6,000 square foot lawn is the perfect place for a tent, lawn games or group activities. Large grassy fields and coves give groups additional choices for meetings, performances and ceremonies. A new, two-bedroom cottage can be rented for overnight stays. Parking is conveniently located onsite. The Farm at Green Heron Pond accommodates formal and informal events for both large and small groups at reasonable rates. You may bring any vendor of your choice, or select from our list of preferred vendors. Imagine your wedding day at the Farm at Green Heron Pond. 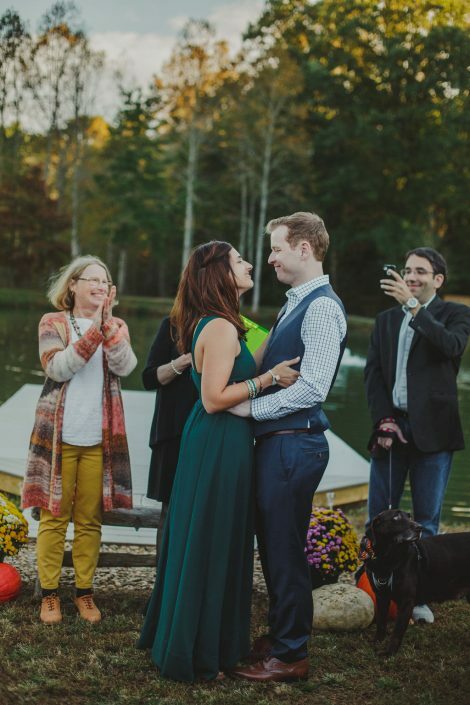 Two outdoor sites- one on the pier overlooking the Green Heron Pond and one in a grassy cove with a panoramic view of the pond, forest and mountains- offer naturally beautiful settings for your ceremony. The 1500 square foot pavilion easily seats 100 guests and has clear, drop-down side walls to assure comfort when it rains or the evenings are cool. Overlooking the pond, with views of the mountains, paneled cathedral ceiling, ambient lighting, ceiling fans, wireless internet, and attached washrooms, the pavilion is a perfect setting for your reception. The nearby 6000 square foot lawn has room for a tent to accommodate larger weddings or is a wonderful site for outdoor activities. Paths around the pond and through the woods, fields of wildflowers, and a large fire-pit invite your guests to fully enjoy the grounds of the Farm at Green Heron Pond. The Farm at Green Heron Pond offers practical advantages for your wedding. While surrounded by mountains, woods and rolling pastures, it is less than 20 minutes from the center of Asheville. A large parking lot makes it easy for your guests to come and go. 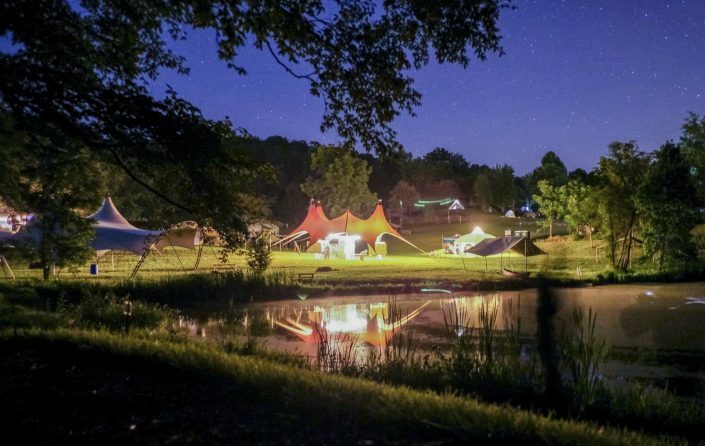 Caterers and musicians will appreciate the convenience of nearby electricity and water sources. A two bedroom cottage is included to provide a comfortable retreat for changing and lounging. The cottage is also available to rent for overnight stays. The Farm can be rented by the day or the weekend and be the home to all your wedding festivities. 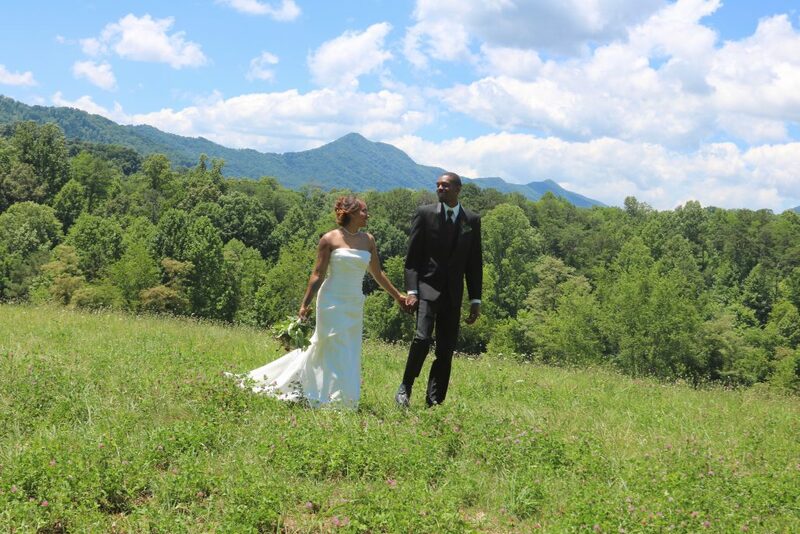 Choose from two outdoor ceremony sites — a pier overlooking the pond, or a grassy cove with panoramic views of the forest and mountains beyond. For your reception, the modern Pavilion has a paneled cathedral ceiling, ceiling fans, and built-in cafe lights. The adjacent, 6,000 square-foot Event Lawn has room for a tent to accommodate larger weddings, or is a wonderful place for cocktail hour, games, s’mores by the firepit, or other outdoor activities. Paths and trails around the property invite your guests to fully enjoy their day in the mountains. The Pavilion is perfect for stand-up receptions of 75-100 guests, or 50-75 seated, with room for buffet and dancing. In case of inclement weather, clear, drop-down side walls are available for extra comfort. Other amenities includ a small kitchen for food prep and storage, hot and cold running water, ample electrical outlets, and men’s and women’s restrooms. The Farm at Green Heron Pond offers many practical advantages for your wedding. 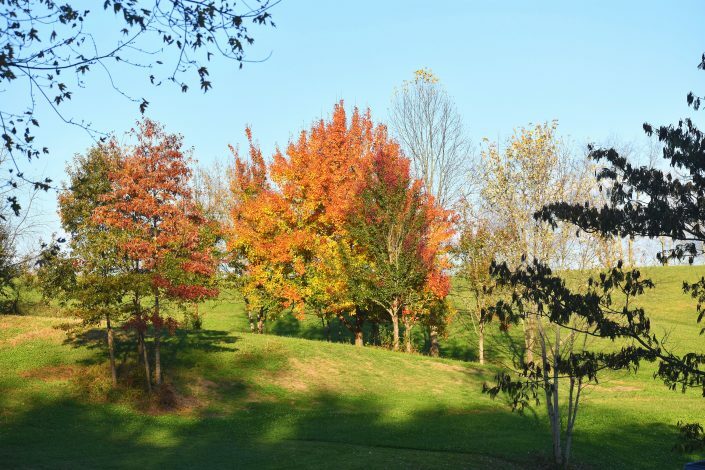 We are located in a quiet valley surrounded by mountains, woods and rolling pastures, but we are less than 20 minutes from downtown Asheville. A large parking lot makes it easy for guests and delivery trucks to come and go. Caterers and musicians will appreciate the availability of electricity and water. You can choose your own vendors, or select from our preferred list. Our brand-new, two bedroom Honeymoon Cottage can be rented for overnight stays, or as a convenient and comfortable place for getting ready. Overnight camping is also available, with some restrictions. The Farm can be rented by the day or the weekend and makes the perfect home base for all your wedding festivities. Are you looking for an outdoor setting for your event? Large or small, we have the space that you are looking for. The 1500 square foot pavilion seats 100 guests at tables and many more classroom style. With panoramic views of the pond, mountains and forest, it offers a perfect setting for your event, with its paneled cathedral ceiling, ambient lighting, ceiling fans, wireless internet, and attached washrooms. Clear drop-down sidewalls provide comfort during afternoon rain and cool evenings. The nearby 6000 square foot is a spacious place for group activities, from lawn games to yoga classes. The same lawn also can hold a tent or two, providing plentiful seating. The one acre, spring fed Green Heron Pond and Pier are natural sites for bird watching (yes, we do have Green Herons nesting in the spring), lounging and fishing. A large grassy cove, wildflower-filled fields, and paths and clearings in the woods make unique settings for guests to wonder and gather. The Farm at Green Heron Pond offers practical advantages for your event. A large parking area, and nearby electric and water sources make planning easy. While surrounded by mountains, woods and rolling pastures, it is less than 20 minutes from the center of Asheville. The Farm at Green Heron Pond can be rented for half days, full days and multiple days, depending on your needs. A two bedroom cottage is available for overnight rental. You are free to choose your own vendors or consult our list of recommended vendors. Food trucks are welcome. Your information is completely confidential, and we will never send unsolicited emails. For all the latest news, visit us on Facebook!